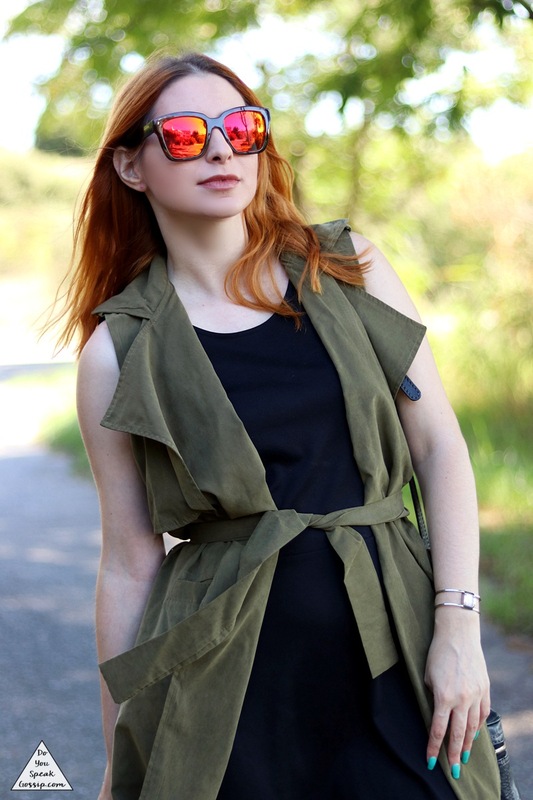 The long sleeveless trench | Outfits - Do You Speak Gossip?Do You Speak Gossip? The day yesterday was quite amazing. Not too hot, just enough, not too cold, just enough. We took these photos as we left the house to go meet some friends for coffee, and we had such a great time. The temperature was really ideal! Unfortunately, when I returned home, I had to change into something warmer to go meet another friend, because we’re now back to cool weather again. Back to the outfit though… This outfit was again a spur of the moment. I actually had a different pair of shoes in mind for it, but changed my mind, because these ones looked even better. 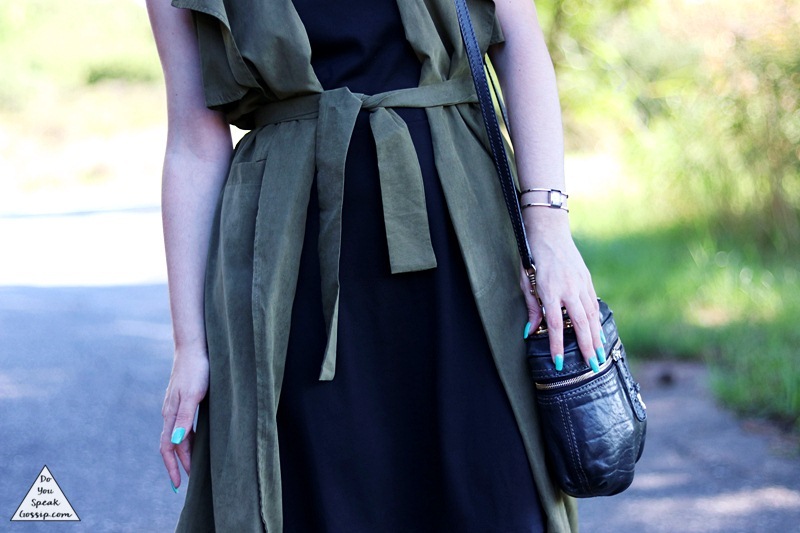 The sleeveless trench coat created a length contrast with the dress and completed the outfit nicely. No other accessories needed! The shoes are stunning and comfortable so it was a double win for me. Do you like my look?